It's going to be nearly impossible to beat the Queen of Hearts and Alice costumes from yesterday, and I'm not going to try. At the same time, here are some cool things. I'm probably the millionth site to post this, but here it is. 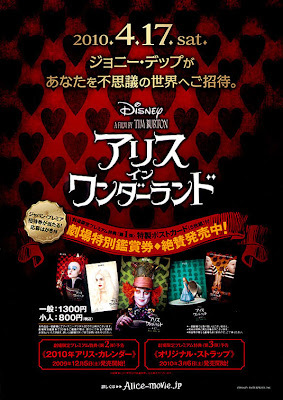 The Japanese poster for Tim Burton's Alice in Wonderland. 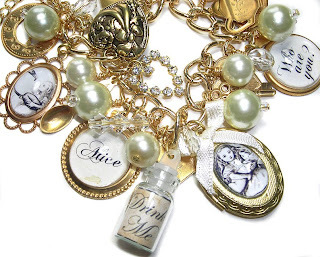 Next up, a nice charm bracelet from Cherished Trinkets. Thanks for featuring my hand made bracelet. What a lovely blog!